Acupuncture vs. Vicodin and Oxycontin for Pain Relief. One of my many pet peeves regarding the neglect of Acupuncture for Pain Relief in Bio Medicine/Western Medicine, or Allopathy as they call it in the British Commonwealth, is the same as my pet peeve with government. How can such smart people be so smart some of the time, and so dumb other of the time? The answer is blind spots, blind spots born from the self selection for overly confident people that leads at times to arrogance, at other times to Doctor Denial Syndrome. (such as in the willingness to dispense drugs with side effects worse than the diseases they are meant to treat). Sometimes it seems that western medicine is all too satisfied with never getting to the cause of problems, but treating with the kind of band-aid approach that characterizes their use of pain killers for both acute and chronic pain. What has always bothered me is the way that Vicodin is given like candy to people in acute back pain. Vicodin causes constipation. The last thing you ever want to do is cause constipation in someone with a possible disc injury. Herniated discs are made worse by constipation, because bearing down for a bowel movement increases the pressure in the spinal canal (the intra-thecal pressure), which is exactly what you DON’T want with a bulging or herniated disc. In fact, one of the physical exam tests for disc herniation, which is very accurate, is called Valsalva Maneuver. Simply, you ask your patient to bear down as if going potty. If that increase lumbar or sciatic pain, you know there is a herniated disc, or some other compression like a tumor. So why give a drug that causes constipation as a very predictable side affect? And why not ALWAYS prescribe stool softeners with it? If I had 100 dollars for each patient I have seen in the last 24 years who got Vicodin WITHOUT stool softeners, I would be wealthy. Its quite exasperating. Moreover, why do M.D.’s not EDUCATE themselves about the benefit of Magnesium Citrate or Fumarate which should be standard of care for ANY BACK INJURY INVOLVING TIGHTNESS, SPASM, TENSION, CONSTIPATION, ANXIETY, INSOMNIA, because Magnesium is a NATURAL STOOL SOFTENER which also CALMS THE MIND, AND RELAXES THE MUSCLES. Worse, is the fact that I often encounter patients who have never been told that their Vicodin contains Tylenol/Acetamenophin, and are themselves taking additional Tylenol on the side, thinking it is some safer than Ibuprofen. In fact, Vicodinis so toxic to the Liver that it has been recently reformulated into a new product with a LOWER ACETAMENOOPHIN percentage, called Norco. The other DISTINCT DISADVANTGE I have observed about the treatment of pain, or I should say the non-treatment of pain with Vidodin, is that it makes people sluggish, depressed, and, if they have at all an addictive personality, addicted. I have seen many patients who seem to have lost their will to help themselves, developing a “helpless hopeless” attitude, thanks to long term addiction to Vicodin. Now comes this New York Times article: Prescription Painkillers Seen as a Gateway to Heroin that discussed just exactly how dangerous and unwise the abuse of prescription painkillers by M.D.s is. Its not the patients that are at fault, but their leaders, the M.D.s, who give this stuff out like candy, when they should be doing much much more, including non-drug manual therapies. Honestly, its scandalous. So the question arises, why don’t M.D.s regularly and routinely refer out patients to Acupuncture for pain relief? Why not have acupuncturists working in all the orthopedic surgeons offices or in the physical therapy clinics? Why not try it for themselves. And why don’t they take an interest in learning about all the MANY non-drug therapies that are EXTREMELY VALUABLE in the treatment of acute and chronic pain? Rather they get rid of the patient by giving them Vicodin, and telling them to come back in 2 weeks if its still bothering them. Then in two weeks, if they are lucky they send them to physical therapy, which, sadly, all too often, is a total failure because they are obsessed with strengthening weak muscles without FIRST REMOVING THE CAUSE OF THE PAIN, WHICH IS INFLAMMATION, BY REMOVING THE CAUSE OF THE INFLAMMATION, WHICH IS OFTEN SHORTENED TIGHT IMMOBILE FASCIA, MUSCLES, AND TENDONS with non-drug therapies, like massage, Feldenkrais work, Acupuncture, the Egoscue Method, Function First method of Anthony Carey. I have even seen low back patients injured by gung ho P.T.s, especially of the old school variety, who push them to strengthen the core, too much, too soon. Now we are back to those blind spots that develop in all of us, but that in highly educated folk with great responsiblity such as the people that run the State Dept, or Western trained M.D.s, are so very glaring. Thank god its changing, a bit. Classical Chinese Acupuncture based on the ancient meridian/channel pathways combined with Myofascial Acupuncture based on the release of the fascia (which is the web of connective tissue our who body is organized around)and the trigger points and motor points is a very very very effective treatment for the pain of acute and chronic Neck/Cervical, Thoracic, and Lumbar pain, for frozen shoulder and other shoulder pain, and especially for herniated and bulging discs. And what is great is that when you do the kind of acupuncture and cupping for pain relief that I do, it takes far fewer sessions than say, the “balance method” of Richard Tan where you must get 2-3 treatments a week for weeks on end . I don’t often treat someone more than 8-10 times for a single injury, an often only 6 times, depending on the severity and length of time of the injury. Sports injurys that are acute heal even faster than old injuries that have been left untreated and are severe and drug dependent. I always give these patients Interplexus brand Fura Mag Magnesium Fumarate which helps relieve the pain and spasms from tight muscles, aids in sleep, and helps take the edge off the anxious feelings that come with being injured. It also functions as a stool softener at the correct dose. Fura-Mag capsules have an absorption rate of 80% and provide about 110mg of bio-available Magnesium. Other versions of Magnesium, such as glycinate or oxide, only have 25% absorption efficiency. If you cannot find Fumarate then Magnesium in the Citrate form is also excellent. Minerals, whether in food or supplements are always more bioavailable when they have been acidified. That is why its so good to add lemon or vinegar to kale, collards and other leafy greens. It liberates the calcium and magnesium and makes it more absorbable. Magnesium is also standard of care now for people with Migraine headache pain. If your migraine specialist is not recommending magnesium, ask her to do the research. Its excellent, too for menstrual cramps and is excellent for the heart, which is a pretty important muscle. Think of Magnesium as nutrition for the muscles, not a drug. 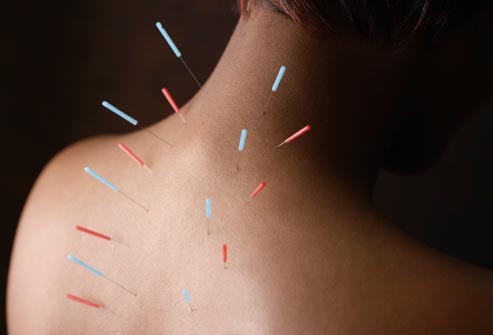 I often supplement my use of acupuncture for pain relief by prescribing anti-inflammatory, tendon and ligament nourishing Chinese Herb formulas to relieve pain of all types. All my Chinese Herb formulas are made in Taiwan, not China, and tested both in Taiwan and the USA to ensure the absence of any pesticide residue, or heavy metal contamination. Favorite formulas I use are Sun Ten brand Shu Jin Wan 2 (Shu means release, Jin means tendons, Wan is pill). I also get great results with the relief of pain with the Classical Chinese herbal medicine formula from the Shang Han Lun, the earliest herbal medicine text, called Dang Gui Si Ni Tang that I learned about from the family tradition of one of my teachers, Arnauld Versluys, which is excellent for pain relief in cases of lumbar pain, disc injury, herniated disc, bulging disc, and sciatic pain. This is also a great formula for issues of micro-circulation like Raynaud’s Syndrome. I have had many successes with this formula and female patients with cold hands and feel and neck pain extending down into the arms and hands, because, I believe, of its powerful effect on increasing micro-circulation which then provides nourishment to the nerves so they can heal themselves. You know, every tissue in the body needs nourishment, and nerves are no exception. When nerves are compressed by tight fascia and tight muscles, the first symptom is pain. If the compression persists over time, then numbness and tingling occur. This represents a progression of the disease. If left untreated, muscle weakness develops. A much more sophisticated treatment than surgery (if you can even find a surgeon who understands nerve entrapment syndromes) is to release the entraped nerve with acupuncture and then give Dang Gui Si Ni Tang to restore circulation and nourishment to the damaged nerve tissue. It works. Self help is the best help my Indian Yoga teacher used to say. I always teach my patients therapeutic exercise to rehabilitate their injuries, and if they need more than what I offer in that department I refer them for training in Feldenkrais, or the Function First methods, depending on what their individual needs seem to be. I have a great bodyworker that i also refer to, because my treatments works especially well when, once the fascia has been released by acupuncture, a highly skilled bodyworker can get in manually and purge the fascia, muscles, and tendons of the toxic by products of tension and pain that irritate the flesh leading to inflammation. You cannot cure with a drug what you have created with a lifestyle. That is why you will never hear about someone whose chronic pain was cured by Vicodin or Oxycontin. Its a slippery slope, a fool’s paradise. Curing chronic pain and even acute pain requires “ganging up” on the injured unhealthy tissues with a combination of non-drug manual therapies like acupuncture and manual body work, along with safe corrective non “boot camp” therapeutic exercises administered by skilled well trained professionals with lots of experience. Diet and nutrition play a role, and often we need to reduce the amount of inflammation triggering foods in the diet like sugars and carbohydrates, and at the same time introducing anti-inflammatory products like fish oil or flax oil. It also requires examining and correcting if necessary one’s ergonomics while at work, and even larger lifestyle issue such as anxious personality type. This is why I also teach Mindfulness Meditation as much as possible to my patients with all kinds of disorders from digestive to pain. This is how we learn how to calm and deactivate our sped up activated nervous systems, the Fight or Flight response, more accurately the fight, flight or freeze response, which, quite interestingly corresponds exactly to the Pitta, Vata, and Kapha doshas in Ayurvedic medicine. But that is another issue, for another time. I also find Tai Qi Chuan very helpful in this same regard. Part of the problem with chronic and acute pain in modern desk bound people is lack of mobility stemming from both fight or flight issues and just the sedentary lack of “climbing trees and shooting bows and arrows or pounding cassava” kind of lifestyle. Exercise therapies like Feldenkrais, Function First, and Tai Qi or Yoga are designed to remedy this part of the problem. Thank you for visiting my website and blog, I hope this information has been helpful. Feel free to contact me if you have any questions about the use of acupuncture for pain relief or about your particular pain problem or injury and whether my system of treatment might help. Thanks! copyright eyton shalom, m.s., l.ac., february 2014 all rights reserved use with permission. Thinking of you and wishing you the best. Having non-diabetic paerpheril neuropathy I have an inkling of the pain you speak of. If there’s anything we, your fans/friends/however you’d like to think of us, can do, just ask and I’m sure many will respond.